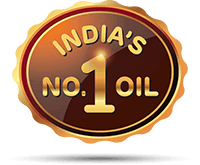 A revolutionary product, Fortune VIVO Oil is India’s first cooking oil which helps to regulate blood sugar level. Developed through years of rigorous R&D, besides helping in increasing insulin sensitivity, our cooking oil comes with a host of other health benefits, which makes it perfect for the all-round health of your family. Having diabetes is scary and irritating. But managing diabetes can be frustrating and confusing. What are the common myths and its truths that can help us stay ahead of this lifestyle disease? Watch the videos below and uncover the truth. Being a pre-diabetic, conscious-eater Vishal is resigned to the fact that eating bland food is the only way to remain healthy. But what if he can enjoy eating all over again, without compromising on his health! Would he feel happier? Can Vishal still nibble away on his favourites? It’s natural to be wary of the taste of food that is loaded with health benefits! Seema is focussed towards making great ghar ka khana but is unsure how her food will taste with Fortune VIVO oil. So come, let’s hear what others have to say and prove this myth wrong. Can Amit take it easy and skip his workout? Amit is easy going, doesn’t shy away from food and that’s because he’s aware of his diet. What if he exercises regularly and also eats smart with Fortune VIVO oil? Can he remain fit by avoiding exercise? Does Neeta’s 7 year old son need diabetes-friendly food? Neeta doesn’t need to give herself storage headaches by keeping multiple cooking oils at home. Especially when Fortune VIVO oil has a neutral taste and helps to keep health stable, her entire family can eat food with this oil. Watch and learn how you can simplify your life too! *The American Journal of Medicine (2016) 129, *731-739. Fortune VIVO advises disciplined lifestyle as advised by your physician along with using Fortune VIVO Oil as your cooking medium. Sugar-free food? More like sweet poison! Sugar-free hai, lekin carb-free nahi! Yeh ho sakta hai high carbohydrate khaana, if eaten in excess mushkil karega blood sugar level control karna. Diabetics and exercise? Too many hurdles! Regular exercise is encouraged because yeh kam karega aapka glucose! A word of caution from VIVO Buddy, do get your regime approved by a doctor. Oats Egg Omelette: A healthy start to stay ahead of diabetes! Basil leaf is rich in antioxidants that improve insulin production and sensitivity. So don’t be shy, add basil to your soup or chai! Ramesh, B., Saravanan, R. and Pugalendi, K.V. Influence of sesame oil on blood glucose, lipid peroxidation and antioxidant status in streptozotocin diabetic rats. Journal of Medicinal Food 2005; 8(3): 377-81. Sankar, et al., Sesame Oil Exhibits Synergistic Effect with Anti-Diabetic Medication in Patients With Type 2 Diabetes Mellitus; Clin Nutr, 2010 Dec 15. Zhao L, Ha JH, Kang I, Okla M, and Chung S.; Gamma-tocotrienol antagonizes early stage adipogenesis in human adipose-derived stem cells. Molecular Nutrition and Food Research. DOI: 10.1002/mnr.201300157, Epub: Nov 11, 2013. Cheng et al., Gamma-oryzanol ameliorates insulin resistance and hyperlipidemia in rats with streptozotocin/nicotinamide-induced type 2 diabetes; Int J Vitam Nutr Res. 2010 Jan;80(1):45-53. Sankar D, Rao MR, Sambandam G, Pugalendi KV; A pilot study of open label sesame oil in hypertensive diabetics; J Med Food. 2006 Fall;9(3):408-12. Daisuke et al., Sesamin Metabolites Induce an Endothelial Nitric Oxide-Dependent Vasorelaxation through Their Antioxidative Property-Independent Mechanisms: Possible Involvement of the Metabolites in the Antihypertensive Effect of Sesamin; Jour Pharmacol Exptl Therapeutics, Vol. 318, No. 1. Kita et al., Antihypertensive effect of Sesamin. II. Protection against two-kidney, one-clip renal hypertension and cardiovascular hypertrophy. Biol Pharm Bull 1995 Sep;18(9):1283-5 1995. PMID:11760.